Wes Alcenat is a Ph.D candidate in the American History program at Columbia University in New York. 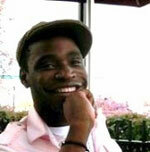 He is a native of Haiti who partially grew up, and attended Macalester College, in the Twin Cities. His primary focus is the African American protest tradition, political and intellectual thought in the nineteenth century, and the Haitian Revolution's legacy and influence on Black American radicalism.